This was the title of the moving February 17 sermon at Minneapolis’ Westminster Presbyterian Church by Senior Pastor, Rev. Tim Hart-Andersen. As mentioned in previous posts, Westminster’s worship services are divided into three parts: Preparing for the Word; Listening for the Word; and Responding to the Word. After looking at the main points of the first part of the service, this post will quote the main parts of the second section: the sermon and its Biblical texts. 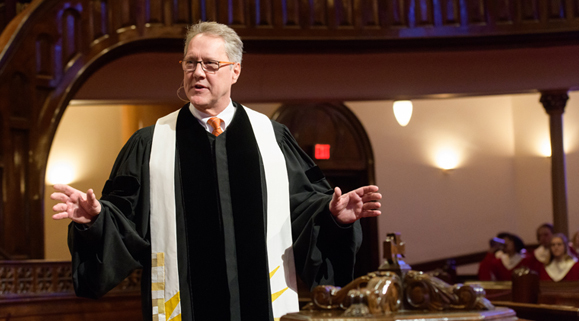 The post will conclude with attention to the main parts of the third part of the service while my personal response to the sermon and Biblical texts will be set forth in a subsequent post. The Prelude was J.S. Bach’s Duet for Violin and Viola, as played by Becca Hanson and Jim Hanson, in memory of Lois Hanson (Jim’s mother and Becca’s grandmother) with Melanie Ohnstad, piano. The Assurance of Forgiveness was then spoken by Rev. Shinn. Associate Pastor Sarah Brouwer then gave the Pastoral Prayer and led the congregation in reciting the Lord’s Prayer. The Offertory, accompanying the taking of the offering, was “Greater Love Hath No Man” by English composer and music teacher, John Ireland (1879-1962). The congregation also sang two hymns: “Child of Blessing, Child of Promise” by contemporary American composer Ronald S. Cole-Turner and “Will You Come and Follow Me” by John L. Bell, a contemporary Church of Scotland minister and member of the Iona Community. The bulletin for the service and the text of the sermon are on the church’s website. See In Memoriam: Rev. Dr. Henry William Andersen, dwkcommentaries.com (Sept. 29, 2012). Rev. Hart-Andersen’s Meditation at Jim Dayton’s Memorial service is also on the church’s website. An obituary for Jim.appeared in the StarTribune. 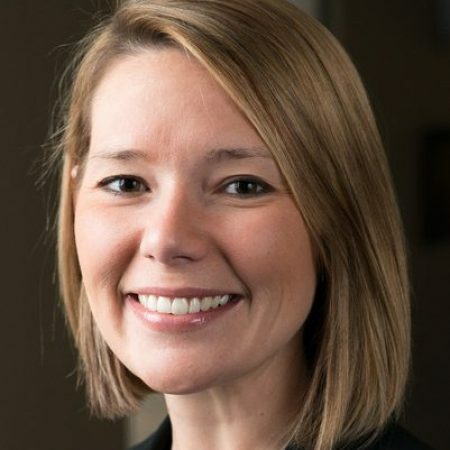 On October 8 Associate Pastor Sarah Brouwer preached a sermon entitled, “On the Road: Beginnings Are Good” at Minneapolis’ Westminster Presbyterian Church. Here are the Holy Scriptures for the day and extracts of that sermon. 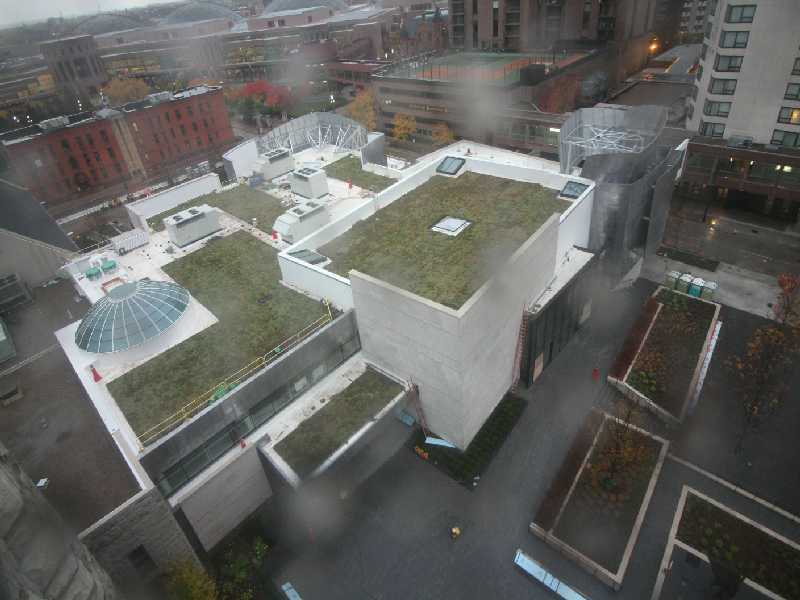 Below is an aerial photograph of the new addition to the church and of Rev. Brouwer. “The story of creation in Genesis always brings words of blessing, but it feels especially appropriate as change is upon us, and we find ourselves in the midst of a new creation. You see, our creation story begins in the dark, in what seems like the unknown. But even in these first verses we understand that God is intentional, there was never nothing with God, but always something, waiting until just the right time to be changed into what is good. God calling creation good is more than that. It is akin to outstanding. This is our beginning. And thus our beginning always has been and always will be beautiful. 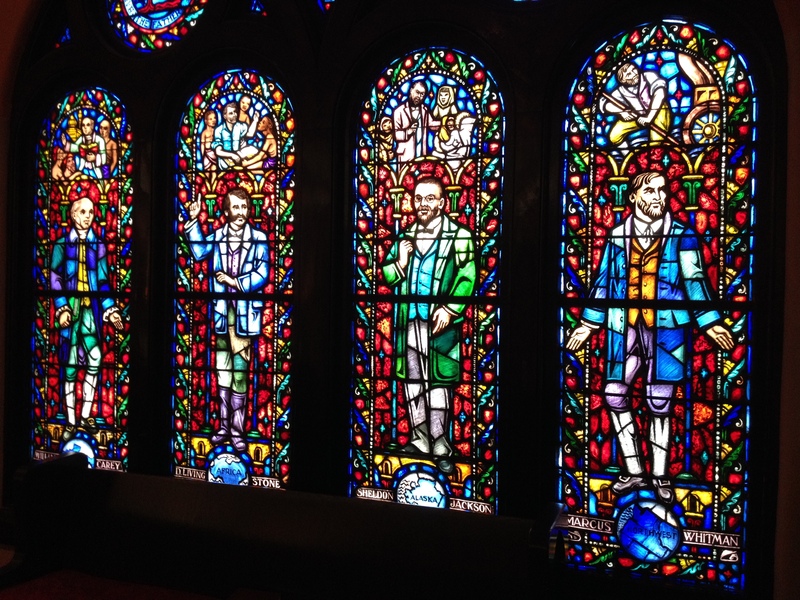 “The church reformed and always reforming” is a significant reminder for why I am a member of a Presbyterian church. It is a human creation, is not perfect and always subject to changes to meet new circumstances and to correct outmoded or erroneous ways. Whatever Became of “Grace Alone”? Minneapolis’ Westminster Presbyterian Church celebrated “Coming Together Sunday” and the start of a new church year on September 10, 2017. 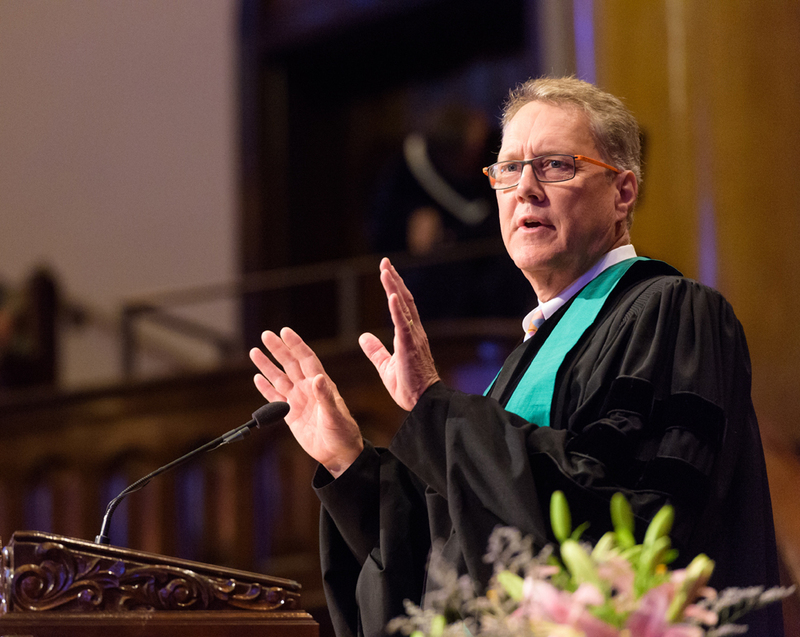 In recognition of the 500th anniversary of the Protestant Reformation, our Senior Pastor, Rev. Timothy Hart-Andersen, commenced a series of at four sermons on the great themes of the Reformation. The first, this day, was grace alone (sola gratia). The others will be on sola fide (faith alone); sola scriptura (scripture alone) and where do we go from here?. Below are photographs of the church’s refurbished Nicollet Mall main entrance and of Rev. Hart-Andersen. and the shouting of the Chaldeans will be turned to lamentation. “Now I would remind you, brothers and sisters, of the good news that I proclaimed to you, which you in turn received, in which also you stand, through which also you are being saved, if you hold firmly to the message that I proclaimed to you—unless you have come to believe in vain. This sermon was a good reminder of my belief that God alone through his and her grace extends love to every human being on the planet in the past, today and in the future and that no human institution can interfere with that grace. The bulletin for this service and the text of this sermon are on the church’s website. There are many sources on Martin Luther; one is Wikipedia. Tickle, Emergence Christianity: What It Is, Where It Is Going, and Why It Matters (Baker Books 2012) Ms. Tickle is the founding editor of the Religion Department of Publishers Weekly, the international journal of the book industry and the author of over 30 book in religion and spirituality. Bass, Christianity After Religion: The End of Church and the Birth of a New Spiritual Awakening (Harper Collins, 2013). Diana Butler Bass is an author, speaker, and independent scholar specializing in American religion and culture. 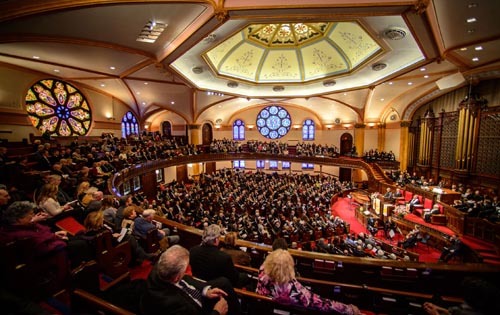 Coalition for Biblical Sexuality, Nashville Statement, CBMW.org; https://cbmw.org/nashville-statement/ The Nashville Statement was drafted in late August 2017, during the annual conference of the Ethics and Religious Liberty Commission of the Southern Baptist Convention and has been signed by more than 150 influential conservative evangelical leaders. The Statement says that only heterosexuality is permissible, calls people born with intersex conditions “disordered,” derides transgender identities as “transgenderism” and makes clear that anyone who is an L.G.B.T. person is immoral. (Cruz, The Nashville Statement Is an Attack on L.G.B.T. Christians, N.Y. Times (Sept. 1, 2017); Nashville Statement, Wikipedia. Open Doors Open Futures is Westminster’s multi-pronged campaign to increase support for local and global needs, to expand its historic building on Nicollet Mall with an inspiring new wing designed by James Dayton Design, and to develop significant new green space surrounding the church. Presbyterian Church (U.S.A.), A Brief Statement of Faith (Presbyterian Church (U.S.A.) (1983) in Book of Confessions, pp. 307-18. Posted on October 2, 2017 October 2, 2017 Categories ReligionTags 1 Corinthians 15:1-10, 14-21, A Brief Statement of Faith--Presbyterian Church (U.S.A.), Christianity, Christianity After Religion: The End of Church and the Birth of a New Spiritual Awakening, Christianity's Great Schism, Dark Ages, Diana Butler Bass, Holy Bible, Isaiah 43:1-7, Jesus, John Calvin, Martin Luther, Nashville Statement, Pew Research Center, Phyllis Tickle, Protestant Reformation, Rev. Timothy Hart-Andersen, Roman Empire, Saint Augustine, Westminster Presbyterian Church, Westminster's Our Open Doors Open Futures, Zwingli2 Comments on Whatever Became of “Grace Alone”? 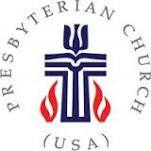 On June 23, 2016, the General Assembly of the Presbyterian Church (U.S.A.) overwhelmingly voted (540 to 33) to include in its Book of Confessions the 1986 Confession of Belhar from South Africa. Let us examine that Confession, its adoption by the PC(USA)’s General Assembly, the PC(USA)’s Book of Confessions and the recent use of the Belhar Confession at Minneapolis’ Westminster Presbyterian Church, a member of the PC(USA). The Belhar Confession emerged from the era of apartheid in South Africa, 1948-1994. That doctrine and practice of racial segregation was embraced by the Dutch Reformed Church in South Africa (DRC) for whites and imposed upon its racially segregated offshoots: the Dutch Reformed Mission Church (DRMC) for colored or mixed-race people, the Dutch Reformed Church in Africa for blacks and the Reformed Church in Africa for people of Indian descent. After the 1960 Sharpeville Massacre, the 1964 convictions and imprisonments of anti-apartheid activists Nelson Mandela and Walter Sisulu, the 1976 Soweto Uprising and the 1976 condemnation of South Africa and apartheid by the United Nations, the Synod of the DRMC in 1978 concluded that apartheid was anti-evangelical and a structural and institutional sin. As previously noted, on June 23, 2016 (30 years after the DRMC adoption of the Confession of Belhar), the General Assembly of the PC(USA) voted to add that Confession to the U.S. church’s Book of Confessions. At that point the commissioners linked hands throughout the plenary hall and spontaneously broke into “We Shall Overcome,” the famous song of the U.S. African-American civil rights movement, led by the General Assembly’s Co- Moderator, Rev. T. Denise Anderson, Pastor, Unity Presbyterian Church, Temple Hills, MD. The Book of Confessions is a collection of confessions and creeds that declare to the church’s “members and to the world who and what [the church] is, what it believes and what it resolves to do.” Prior to the addition of the Belhar Confession, the Book contained 11 confessions and creeds starting with the Nicene Creed of 325 and ending with A Brief Statement of Faith– Presbyterian Church (U.S.A.) of 1983. All: God longs to bring justice and peace among all people. All: God teaches the church to do what is good and to seek the right. All: God sees a day when all people – black, white, red, yellow, and brown – will live together in harmony. PCUSA, Confession of Belhar (English translation); PCUSA, The Belhar Confession (paper about the history of the Confession); PCUSA, 30 Days with the Belhar Confession: Reflections on Unity, Reconciliation and Justice (this book weaves together Scripture passages and the Confession’s timely themes of unity, reconciliation and justice; it is written by a diverse collection of scholars, theologians and church leaders and is a great resource for individuals, study groups or entire congregations wanting to familiarize themselves with the Confession through prayer and reflection; the Confession itself is included). PCUSA, Allan Boesak commends Belhar Confession (June 23, 2016); PCUSA, Belhar added to PC(USA)’s Book of Confessions (June 23, 2016); Duffield, Adopting Belhar, the 222nd General Assembly Makes History, Presbyterian Outlook (June 23, 2016). The Confession previously had been adopted by Namibia’s Evangelical Reformed Church in Africa, Belgium’s United Protestant Church, the Reformed Church in America and the Christian Reformed Church of North America. The Dutch Reformed Church in South Africa, however, has not adopted the Confession in a manner acceptable to the Uniting Reformed Church in Southern Africa and, therefore, has not merged into the latter. PCUSA, Book of Order, Ch. II (1983-85 edition). Westminster, Worship Bulletin (July 17, 2016). My recent investigation and writing of a post about the Roman Catholic Church’s process for the beatification and canonization of Salvadoran Archbishop Oscar Romero prompt these musings about blesseds and saints in that church and their absence in my own church, Minneapolis’ Westminster Presbyterian Church, and its denomination, The Presbyterian Church (U.S.A.). The veneration of saints (in Latin, cultus, or the “cult of the saints”) describes a particular popular devotion or abandonment to a particular saint or saints. Although the term “worship” of the saints is sometimes used, it is intended to mean honor or give respect. According to the Catholic Church, Divine Worship is properly reserved only for God and never to the saints. They can be asked to intercede or pray for those still on earth, just as one can ask someone on earth to pray for them. A saint may be designated as a patron saint of a particular cause or profession, or invoked against specific illnesses or disasters, sometimes by popular custom and sometimes by official statements. Saints are not thought to have power of their own, but only that granted by God. Apparently under canon law, before beatification, the body of the candidate must be exhumed and authenticated and relics taken for veneration. This has produced disputes, some of which have been resolved by dividing the body. For example, St. Catherine of Sienna is entombed in Rome, but her head is revered in a Sienna basilica. Now the beatification and canonization of Bishop Fulton J. Sheen is being delayed because of a dispute whether his corpse should remain in a crypt in St. Patrick’s Cathedral in New York City or be moved to St. Mary’s Cathedral in Peoria, Illinois, where he was ordained. Relics of saints are respected in a similar manner to holy images and icons. The practice of past centuries in venerating relics of saints for healing is taken from the early Church. Once a person has been declared a saint, the body of the saint is considered holy. The remains of saints are called holy relics and are usually used in churches. Saints’ personal belongings may also be used as relics. Some of the saints have a symbol that represents their life. The next step, beatification, requires evidence of one miracle (except in the case of martyrs). Since miracles are considered proof that the person is in heaven and can intercede for us, the miracle must take place after the candidate’s death and as a result of a specific petition to the candidate. When the pope proclaims the candidate beatified or “blessed,” the person can be venerated by a particular region or group of people with whom the person holds special importance. The Roman Catholic Church has over 10,000 named saints (or over 27 for every day of a normal year). Only after one more miracle will the pope canonize the saint (this includes martyrs as well). The title of saint tells us that the person lived a holy life, is in heaven, and is to be honored by the universal Church. Canonization does not “make” a person a saint; it recognizes what God has already done. The last three Popes have canonized 1,355 saints: Pope John Paul II, 482; Pope Benedict XVI, 45; and Pope Francis, 828. A source says that Pope Francis’ 828 in the first 18 months of his papacy is more than all the Popes of the last three centuries. The PCUSA and Westminster do not have a roster of designated blesseds and saints. 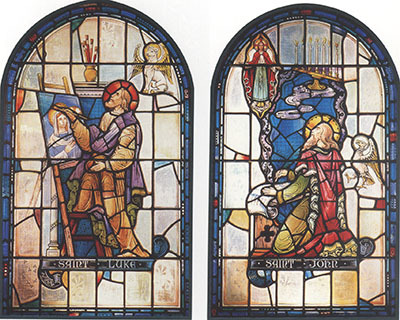 As a result, Westminster does not have statues or paintings of such individuals in our Sanctuary.Instead, most of Westminster’s Sanctuary’s beautiful stained-glass windows from the 1950s and 60s, made by Willet Studios, primarily depict images of the life of Jesus like the one to the right for His Sermon on the Mount that is on the north side of the main floor of the Sanctuary. 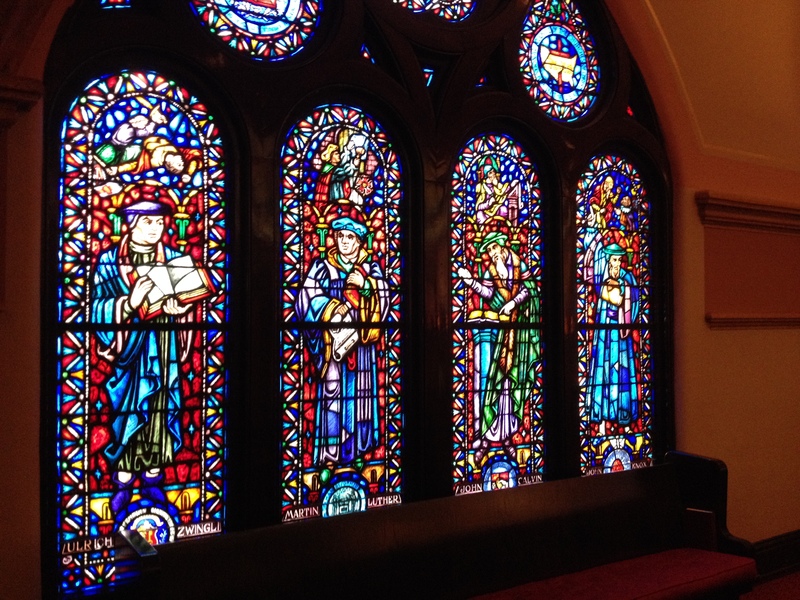 Earlier windows feature Victorian and early 20th century stylized organic and geometric designs. 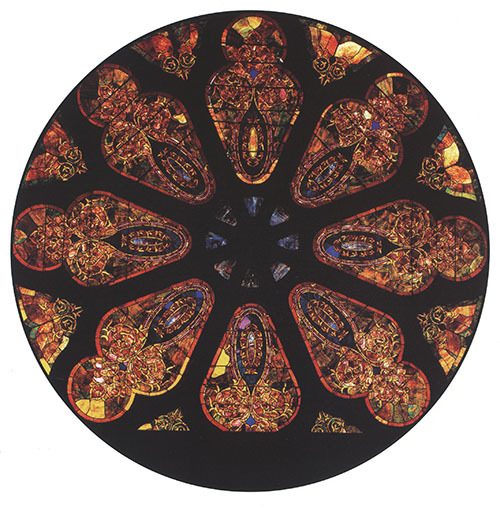 Here below, for example, is a photograph of the large Rose Window that was installed at the back of the balcony in 1897 with the construction of our Sanctuary. 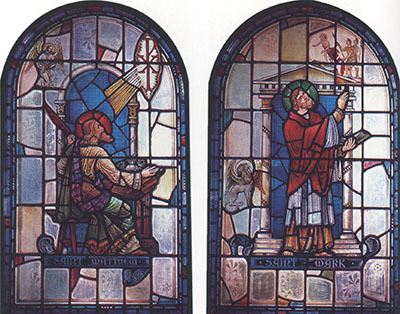 Westminster, however, at the back of the Sanctuary’s main floor does have four Gospel Windows (images of Saints Matthew, Mark, Luke and John, the authors of the New Testament’s Gospels). Below is a photograph of these windows. Interestingly this hymn originally had six other verses that probably were eliminated in our Hymnal to keep the hymn of reasonable length by contemporary standards. But three of those deleted verses specifically recognize the Apostles, the Evangelists and the Martyrs as saints and thereby may suggest that only they are saints. 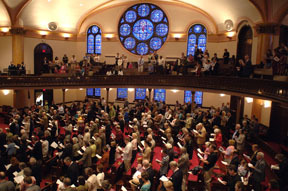 We also must acknowledge that the names of some Presbyterian churches include the names of saints: the Apostles of Jesus (Peter (or Simon), Andrew, James, John, Philip, Thomas and Matthew), the authors of the synoptic Gospels (Mathew, Mark, Luke and John), the first evangelist (Paul) and other Roman Catholic saints (Elmo (or Erasmus)), Stephen, Barnabus, Giles and Patrick). I recognize that all of us as sinners need all the help we can get in striving to live holy lives and that blesseds and saints undoubtedly provide such assistance to many people. Moreover, I believe it must be useful for many people to have blesseds and saints from their own country or ethnic group or era to connect with Jesus, who lived and died 2,000 years ago. A church’s having blesseds and saints can also be seen as a way for the church to evangelize, i.e., to spread the Good News of the Bible. In secular terms, it is a way to market the faith. Pope Francis’ recent beatification of 124 Korean martyrs can be seen in this light. Once a church decides that it will have blesseds and saints, it obviously needs a well-established set of rules and procedures for making such important decisions, and Pope John Paul II’s previously mentioned changes in that regard I see as a rational management response. However, I do not understand why the beatification and canonization of Salvadoran Archbishop Oscar Romero can be seen as controversial or difficult when he had the courage to act, despite repeated death threats, as Jesus taught all of us to act (Love your neighbor as yourself). In the Presbyterian version of Christian faith as I have experienced at Minneapolis’ Westminster, on the other hand, we avoid having our focus on Jesus interrupted by statues and references to the blesseds and the saints. Moreover, our sermons frequently use the faith and actions of contemporary people to illustrate important points of Scripture. In this way we help to see how Jesus’ teachings can be important in our lives today. This account of the history and practices of the Roman Catholic Church’s blessed and saints is based upon the following secondary sources in addition to those that are hyperlinked above: http://catholicism.about.com/od/holydaysandholidays/p/All_Saints_Day.htm; http://www.catholic.org/saints/faq.php; http://en.wikipedia.org/wiki/List_of_saints; http://www.uscatholic.org/articles/201310/how-many-saints-are-there-28027. I welcome amplification and corrections by those with more knowledge of the Catholic history and practice of beatification and canonization. 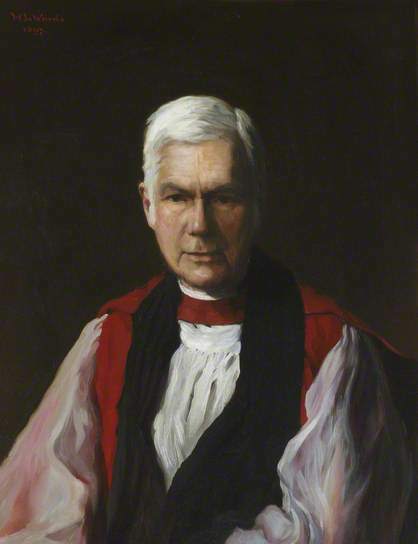 How was an Anglican priest who served as Bishop of Wakefield in northern England and as Bishop of Bedford in the East End of London. He also was a poet and author of the lyrics for other hymns. 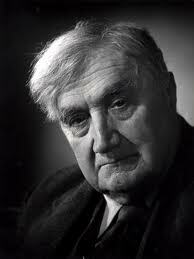 Williams, who was Welsh-English, was a composer of symphonies, operas, chamber and choral music and film scores. 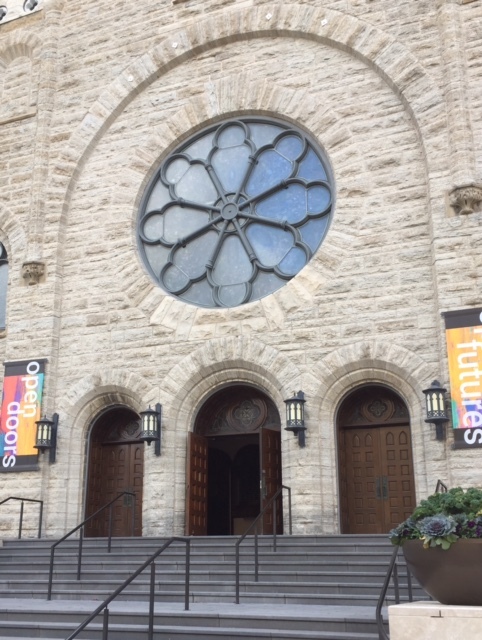 June 1st was Baccalaureate Sunday at Minneapolis’ Westminster Presbyterian Church to celebrate the university and high school graduations of some of our members. The bulletin for this worship service is available online. A number of posts to this blog have discussed the religious notion of vocation. The notion of God calling us into the world was also embraced by poet Christian Wiman.